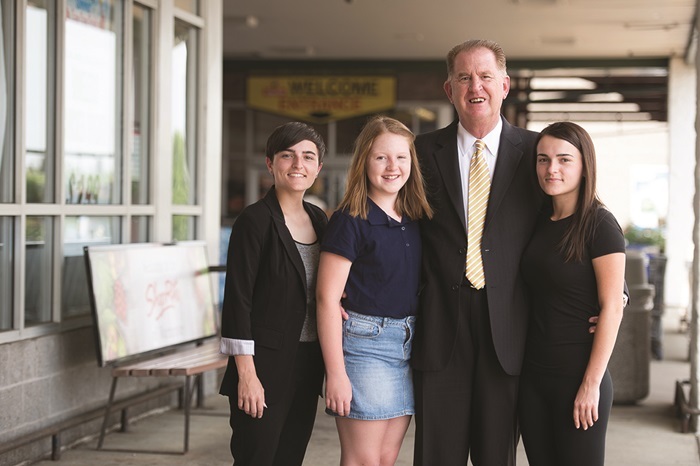 This supermarket of community support is the essence of ShopRite Owner Joe Cowhey, an entrepreneur who strongly believes in giving back to the local community. A man who also understands the value of quality healthcare, Joe is a dedicated supporter of Doylestown Health. Three years ago, Cowhey began a partnership with Doylestown Health focused on community health and wellness. That effort resulted in the establishment of Doylestown Health Connections, an in-store center offering a broad range of services for the public, including screenings for blood pressure, vision, skin cancer, balance and fall risk, as well as guest lecturers and workshops on nutrition, exercise and smoking cessation. At Doylestown Health’s flagship campus, a joint effort to improve the patient experience resulted in the establishment of a ShopRite retail pharmacy embedded within Doylestown Hospital. The pharmacy gives patients the option of having prescriptions ready to take home at the time of discharge. The service is a great convenience, and helps prevent readmissions by increasing the likelihood that patients will comply with their physician’s directives regarding medications. An additional benefit extends to the hospital’s Associates and Volunteers who also rely on the convenience of an on-site pharmacy. For Cowhey, creativity is at the core of his efforts to achieve success for both his store and his fundraising efforts on behalf of Doylestown Hospital. For customers, the Cowhey-created shopping experience includes thunder and lightning sound effects in the produce aisle, simulating the California climate where the fruits and vegetables are grown. Shoppers who need milk head for the aisle with the sounds of cows mooing. Parents with children love the on-site babysitting and play area, and the daily offering of kid-friendly activities from puppet making to cupcake decorating. For the past three years, Cowhey has applied his flair for marketing and promotion to an in-store fundraiser in support of Doylestown Health. This year alone, the donation drive raised $20,000 towards the upcoming renovation and expansion of the Heart Institute, with hundreds of customers contributing to the effort. To generate awareness for the annual fundraiser, cashiers wore hospital scrubs, stethoscopes and heart pins, and were prepared to answer questions about the Heart Institute as they were scanning groceries. The store was decorated with heart-themed balloons and banners, and every one of ShopRite’s 200 employees was engaged in the effort. Cowhey’s support of Doylestown Health also extends to involvement in the hospital’s annual Golf Classic, the Village Improvement Association of Doylestown’s Bucks County Designer House & Gardens, and many other events.